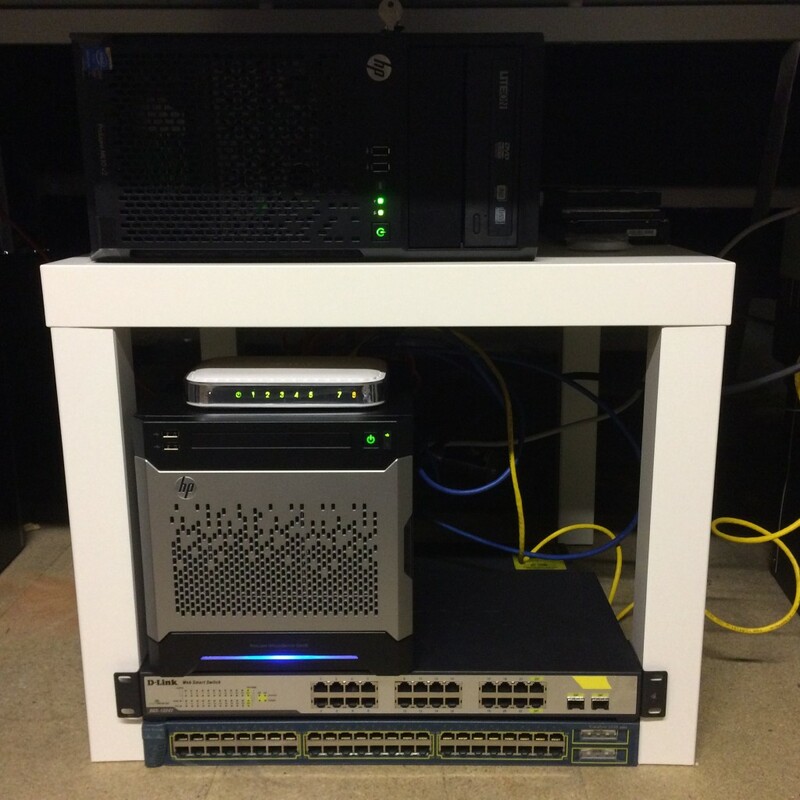 One of the reasons for starting this blog was to document the process of building a home lab from scratch. I always new that it wouldn’t be something that you can simply go out purchase the complete solution, but one that would grow and evolve over time according to my available resources and budget. Although this is only update #1 I think i’ve made some great progress over the last 6 weeks. Another related post was my “quick and dirty” guide to installing Windows Server 2012 R2 on an HP ML10 v2, a great little server that sadly lacks a lot of the really useful server features, like Smart Storage Administrator which makes setup slightly trickier than it maybe should. Here it is in all its (modest) glory. Both servers are built using Windows Server 2012 R2 Standard and beyond adding some internal storage (1 x 2TB HDD in the ML10 v2 and 2 x 2TB HDD’s in the Microserver) they are still “stock”. I’ve build a couple of small linux virtual machines just to stress the hardware and make sure everything is working correctly but the setup still isn’t “production” ready. In order to really get the most of the current setup i’ve got a number of small upgrades planned. I’ve got a number of hardware and “environmental” upgrades planned over the next month or so that’ll hopefully bring the home lab up to “production” level and allowing me to crack on with some certifications. As i’m building a home lab from scratch (and on the cheap) i’m having to buy entry level hardware and customise as the need requires. 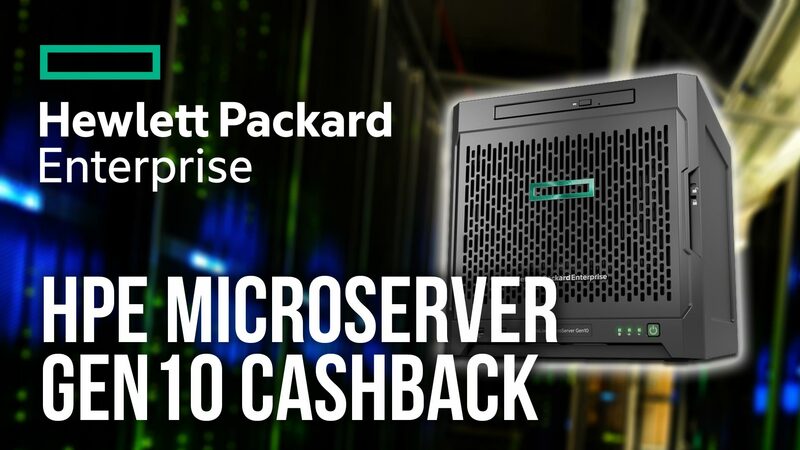 At the moment the server is still running the stock 4GB but once I get my cashback from HP for the 2 server purchases, which equates to £120 of free money i’ll add in an additional 16GB RAM to the setup. I’ll need to do some testing but i’m hoping that the two 8GB sticks will happily coexist with the original 4GB stick making 20GB in total. That should be more than enough for my purposes. I should have enough left over from the cashback to swap out the 2TB HDD with a small consumer solid state drive to speed things up a bit. I’m not planning on using the local storage on the server, all the virtual storage will be hosted on the Microserver i’d rather go speed over capacity. This spare 2TB drive will me moved over to the Microserver for some extra capacity. I’ll also flatten and rebuild the server at the same time, possibly with just Hyper-V server rather than a full install. Like with the ML10 v2, i’m planning on adding a small SSD as a boot disk to speed things up. I’m going to use the empty space in the top of the server (where the optional optical drive would normally sit) to house the drive. This will mean that I can dedicate all four front facing drive bays to large capacity disks. 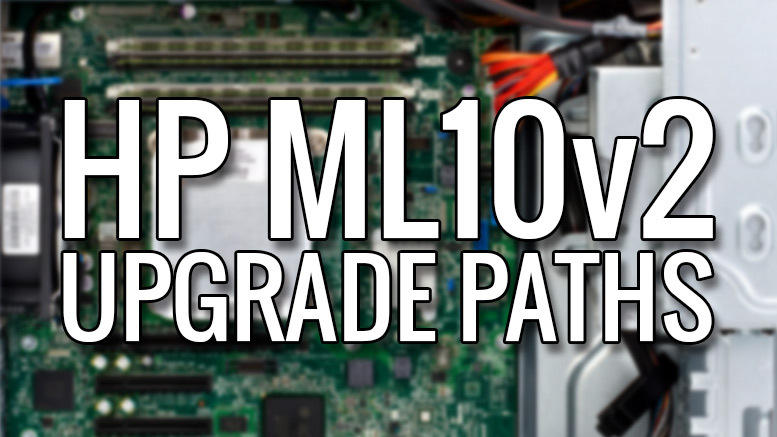 As with the ML10 V2, i’ll probably rebuild the server at the same time. I have 2 x D-Link DGS-1210-24 24 port switches that I need to get installed in the lab. These are both layer 2 switches and have a lot of features over and above the dumb Netgear switch that i’m currently using, allowing me to have a play around with VLANs etc. For the eagle eyed out there, you’ll notice that a Cisco Catalyst 3500 series switch is acting as a rather neat stand for the LackRack – although it works just fine I doubt i’ll use it in this setup as its a bit overkill. I may end up using it if I end up doing a CCNA. Due to space limitations, the home lab will be housed in the loft for the foreseeable future. While not ideal it is actually a good space for the lab as it’s boarded out and dry. The space itself can be a little on the cold side in winter and warm side in summer but it is very usable. The big sticking point is power. At the moment I’ve not got any dedicated power sockets in the loft to power the servers so in order to use the lab I have to run an extension cable thought the loft hatch which is a bit of a pain really. Once I have some dedicated power in the loft I can keep the hatch shut and be able to power on the servers as required via the iLO interfaces on both servers. I’ll probably try and add in some kind of environmental monitoring and an IP camera so I can keep an eye on what will be an unattended space. 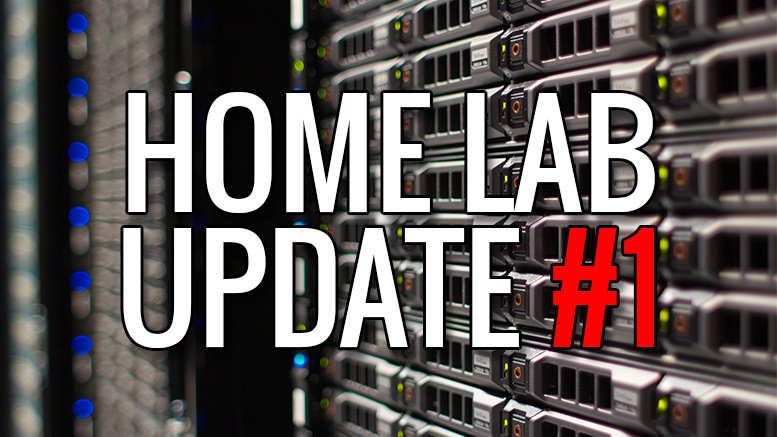 My next planned Home Lab big update will be at the end of January 2016. 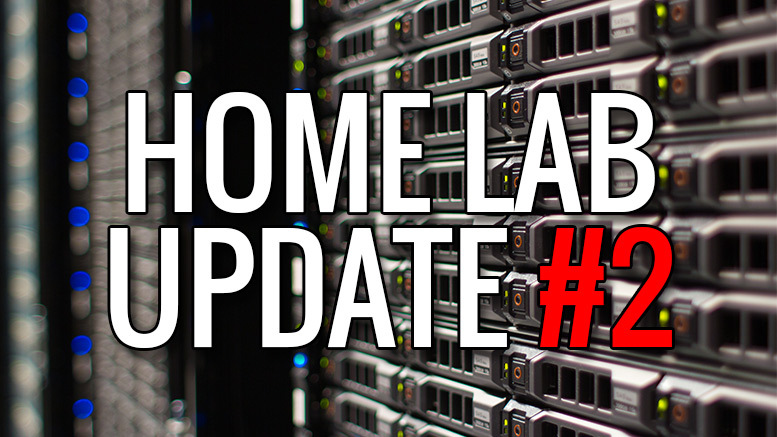 I’ve got some time off booked over Christmas which will allow me a good day or two to dedicate to the lab so i’m hoping to get the planned upgrades done by the end of Jan.
Be the first to comment on "Home Lab Update #1 – Building a Home Lab from Scratch"